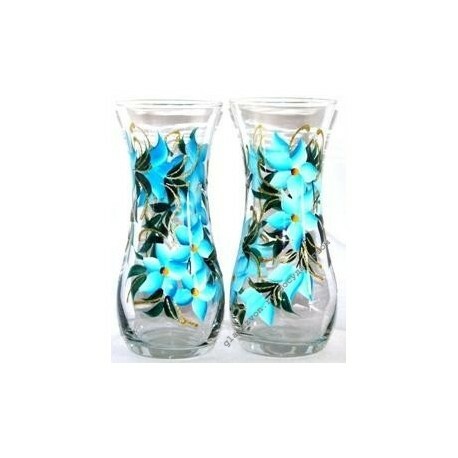 Elegant vases in Kislovodsk for wholesale buy at an advantageous price offers our online store. 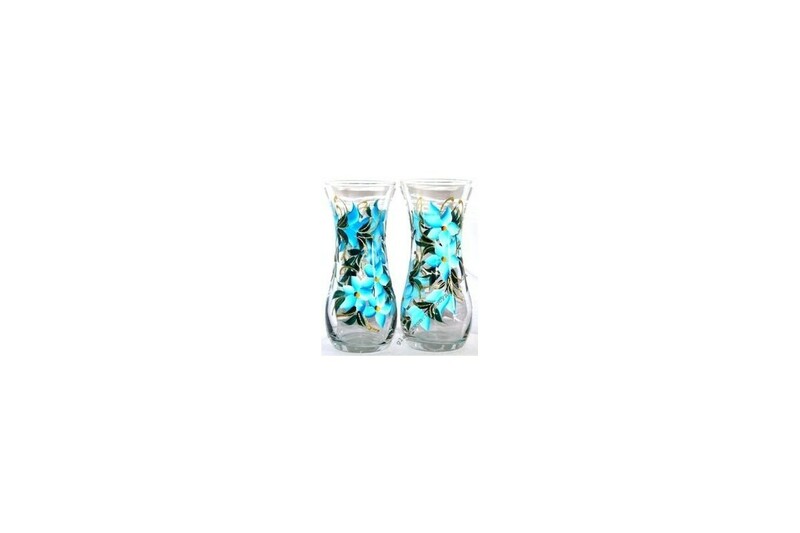 Painting blue flowers on a transparent glass, like a ribbon, girdles a narrow neck. A curved silhouette with a wide edge and a firm bottom will appeal to any woman. The product will look harmonious with a bouquet of field grasses or flowers, greenhouse plants, emphasizing their natural beauty. Buy small or large wholesale factory products easily and profitably, in one click.